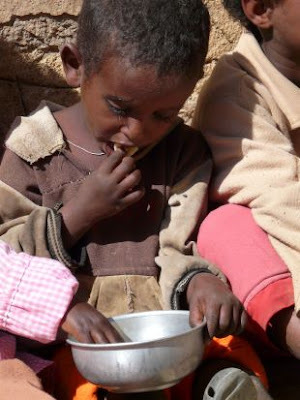 As the result of the land expropriation, endless national service programs, crop expropriation and restrictions of trade of food and other items as well as the result of the impact of last crop season’s drought, the Eritrean population has been subjected to famine and hunger. Since my last report the prices for grain has almost remained constant because the government has to some degree loosened the control over the movement and trading of specific crop items such as sorghum in the past months while still tight control is being imposed on other food items such oil, wheat, wheat flour, sugar, etc. The implication is the prices for some items such as sugar, oil, pasta has increased by 30 to 40% since my last report. But even so prices have been extremely high for such a long time that for the population of Eritrea with no income sources the main problem at this time is more of lack of affordability. Even the rations that were supplied through the so called “fair price shops” have been slashed or are being distributed occasionally – for example, oil is only being distributed occasionally. The crisis of supply of energy is unresolved yet. Thus the situation is so severe and with every passing day it is getting extremely difficult for people to cope bye. And it is further anticipated that the availability of food crops will be reduced and prices will further rise up because the government has again tightened the control over the trade of food crops and other items as per the 28th of April, 2009. To many households the only available coping strategy is resorting to migration and begging. As I have already reported in my December, 2008 report, whole communities or villages have migrated to other areas begging for food crops during harvest time and to areas where markets for food items are relatively accessible and affordable. 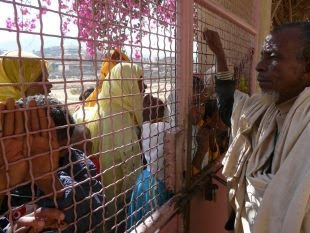 Large numbers of women headed households and children have migrated to urban areas such as Asmara and other towns including Tesseney and are engaged in begging activities. Large numbers of households have migrated to Asmara city and have camped within the premises of the churches and their surroundings. The households are mainly comprised of women, children and infants. Most of the migrants are from Debub Region. They have brought with them some household utensils and materials such as pans, cups and cooking stoves. The migrants have been engaged in begging activities at the church compounds, in streets and in the churches’ neighborhoods where they had camped. Their main target is the mass gathering of people who frequently visit the churches for praying. They also use to move from church to church whenever there are special occasions and celebrations that attract large mass gatherings. The migrants use to spend day and night in the open air with no shelters and with no adequate clothing. Whatever amount of money they collect from begging activities, they buy food items (sorghum grain, sugar, tea leaves) and charcoal for cooking their meals. Grain is bought from the market and ground in the grinding mills and then prepared in their camping places. The food preparing activities include baking “kicha” (traditional unleavened bread) and tea using charcoal. As there is no adequate income from the begging activities that could meet their daily food requirement, if there is any, their food consumption mainly comprises of “kicha” and tea. This is from my observation. Though I have never stopped thinking of having informal interviews and discussions with them regarding their situations, but as the issue is politically sensitive, I have so far refrained from doing so fearing for my life. The number of new migrants has added to the already high number of beggars in Asmara city, and the government could not tolerate the scene. As this is a clear manifestation of the prevailing famine and widespread poverty which the government denies its existence, in order to hide it, the government security forces raided all churches and streets on the 7th of April, 2009 (at dawn) and rounded up the beggars and took them to a detention center, a place known as Enda-Saal in Mai Temenai district in Asmara. The rounding up also continued in the subsequent days targeting those who were missed in the first day. Those beggars who are originally from Asmara were released after their relatives were made to sign as guarantors. This means their relatives are to be hold responsible if the beggars engage again in any begging activiti es, which will cause the guarantors to pay a fine of 10,000 Nakfa. I have no information yet what the government has done to the beggars who are from Asmara and its surroundings but no relatives have taken responsibility for them. Regarding those migrant beggars that have come from the countryside, the government has forcefully returned them to their respective villages, mandating the government appointed administrators in their respective administrative areas to supervise and control them from migrating again. Moreover, they are warned that they would be relocated to Gash Barka if they try to engage again in any begging activities. The government has this year intensified and expanded its land expropriation programs. In the highland, in addition to what had been grabbed in the last year and the years before that, it has continued land expropriating this year too - whatever land the government considered as fertile and potential land, particularly for wheat production. The regions affected most by this program are Debub and Maekel. In Gash-Barka, i.e. 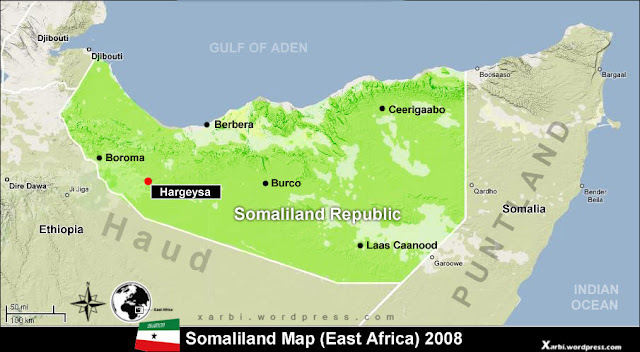 the southern part of Gash which is the fertile area and considered as the food basket of the country, and in which unlike in the highland, land ownership was permanent and land holding is relatively big compared with the highland, the government has cancelled all land ownership and the existing tenure system and put it under direct government control and management (instead of the communal management and control) claiming it is introducing land redistribution program. Under this redistribution program the government redistributes land to the farmers ranging from one to two hectares per household for subsistence farming depending in the geographical locations. According to this plan the allocation is one hectare per household in the Tekombia-Shilalo area and two hectares per household in Tesseney-Omhajer areas. Investors are allowed land that can be tens of hectares according to predetermined criteria – this is classified under concessional land ownership. This means large proportion of the land remains at the hand of the government which the government is planning to cultivate itself. Apart from the loss of their land, the farmers had made a lot of investments in terms of capital, labor and time in clearing the land to make it fit for farming. In Gash Barka the initial cost of clearing the land is capital and labor intensive. To clear one hectare of land costs tens of thousands of Nakfa. Most of the farmers own more than two hectares, some of them up to ten hectares; thus it is obvious how m uch the clearing of the land has cost the farmers. As most of the farmers had shortage of money it took them several years to clear them using their family labor. For all the financial costs and labor expended in the clearing of the land the farmers are not being compensated. Moreover, each farmer is obliged to pay 40 Nakfa for registration to access land under this redistribution program. Further, the farmers are asked to pay a cumulative amount of money as land tax to the government calculated at the rate of 100 Nakfa per hectare per year. The base year for calculating the cumulative tax from area to area varies; for example the base year in the Tesseney area is 2002. This means a household owning 3 hectare of land will pay to the government 2100 Nakfa. What is more disappointing is that many families or households are denied their right to land ownership according to this redistribution program. These are the households in which the head of the household is supposed to be in the national service but are absent from the national service. This means until the heads of these families report to their units or enlist in the national service the members of these families are denied their rights and subjected to starvation. 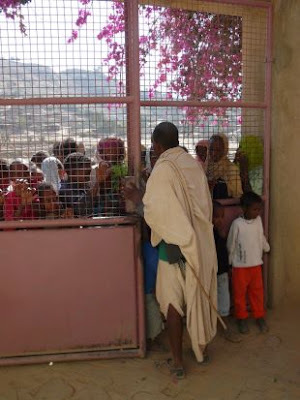 Another issue worth paying attention is the forceful resettlement of the resettled population in Hadish –Adi. 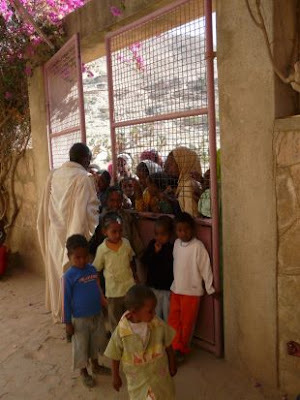 Hadish Adi is a name given to a newly established (from 2007 – 2009) settlement centre around Gerset, i.e. between Goluj and Tesseney. These people were initially resettled forcefully from the highland to this area and had invested in the construction their houses and clearing of their agricultural lands. Now the government has resettled them forcefully in three areas (Gergef, Tebeldia and Sabnait) without compensating for the investments expenses they had incurred and the labor they exerted in the initial resettlement. They have not also been given any financial support in their new settlement areas for the construction of their shelters and other needs. The resettlement a ction was taken because the government is going to cultivate itself the area around Gerset under the Warsay-Yekalo program. Another worrying development is people are losing one of their livelihood assets – the animals – not only as the result of the sale of their animals to cope with the current food crisis but as the result of death of the animals as the result of the effect of the drought. Taking as an example Maekel and Anseba regions, animals have already started dying and there are many in the verge of dying unless supply of feed is secured which is unlikely. Leaving aside its affordability, there is no feed available – neither the concentrated feed nor the fibrous feed. A donkey’s load of barley straws is selling at 600 Nakfa; the government is making a profitable business by collecting sorghum husks of Gash Barka of last season’s harvest and transporting them to Asmara and selling it at 500 Nakfa per quintal. The death of the draught animals particularly would have a huge negative impact on the capacity of the peasants to plough and cultivate their lands in the coming crop season.